This paper discusses the application of the prototyping approach to investigating the requirements on strategies for cooperative planning and conflict resolution of independent agents by means of an example application: the strategic game “Scotland Yard”. The strategies for coordinating the agents, which are parallel algorithms, are developed with a prototyping approach using ProSet-Linda. ProSet-Linda is designed for prototyping parallel algorithms. We concentrate on the techniques employed to elicit the requirements on the algorithms for agent interaction. 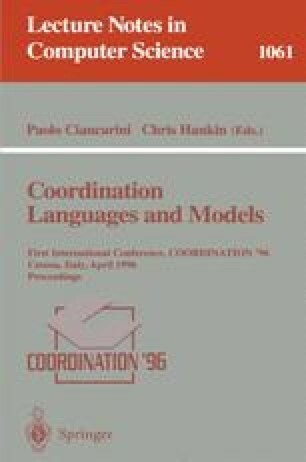 The example application serves to illustrate the prototyping approach to requirements elicitation by means of a non-trivial instance for investigating algorithms for cooperative planning and conflict resolution.